What can I say. She did it again!! Dannika made me cry, excited and laugh. You can’t get better than that!! This book is a bit slower than the others but I love how it took the time to share between Raven and her Dad!!! Their relationship is like no other. Switch!!!! I need to learn more about him. Maybe he can help Hunter and become part of keystone! Just wishful thinking. Houdini—-still can’t figure him out. He definitely needs an intro book of how he came about. What is his end game?? It's been quite awhile since I was able to blast through a book like I did this one. And I am beyond ecstatic that I was able to breeze through without pausing. 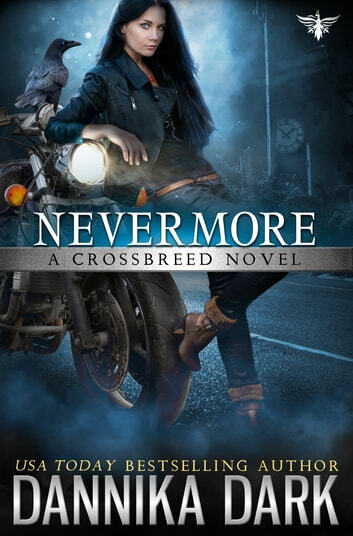 Be prepared, if you start reading Nevermore, you will not want to put it down. 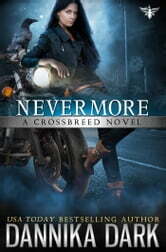 Non-stop from beginning to end, you will laugh hysterically, you will bristle with fury and you will LOVE this book. Dannika Dark is brilliant and there are very few, that I would claim can come close to her caliber. Read the book!